Hello everyone and hope you have a good day! I'm here to tell you that we are in need of translators KOR-ENG for Soompi Awards. 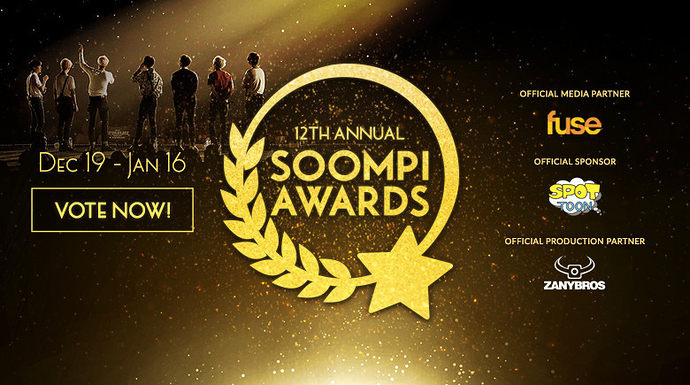 Soompi is an award made to world voting fans like you. In the period of the vote you can choose between the best categories of 2016. Are all 29 episodes and contains about 5 to 6 minutes, please, if you are interested send me a pm. Soompi award - Viki channel.